Whether you’re arriving at a party at dusk or strolling along a sun-bleached esplanade, metallic leather is about making a style statement. The Women’s ECCO Touch Flatform is crafted from metallic Ecco Vibrio leather, with double foil finish – designed to shimmer and sparkle as it catches the light. The metallic finish, achieved through an innovative layering process, can be applied to a selection of base colours. Combining silvery blue hues with golden yellows, Ecco Vibrio’s two-tone effect adds depth and softness, bringing a subtle, sophisticated edge to any silhouette. As well as adding glint and glamour, Ecco Vibrio is velvety to the touch – with the leather specially milled to improve your shoe’s softness and comfort. Ecco Vibrio is one of the latest premium raw materials to have been developed by the team of researchers and pioneers at Ecco Leather’s base in Dongen, near Amsterdam — resolving an ongoing issue with metallic leathers that fade with time. 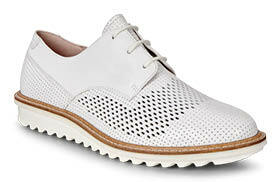 Instead, Ecco Vibrio Leather uses its multi- layered tonality to deflect age and maintain its radiance. The Ecco Touch Flatform features ripple sole construction. 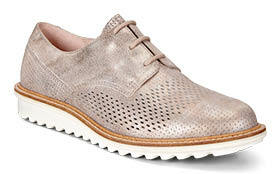 The leather-covered inlay sole with Ecco Comfort Fibre System™ technology cushions the foot and helps it to breathe. 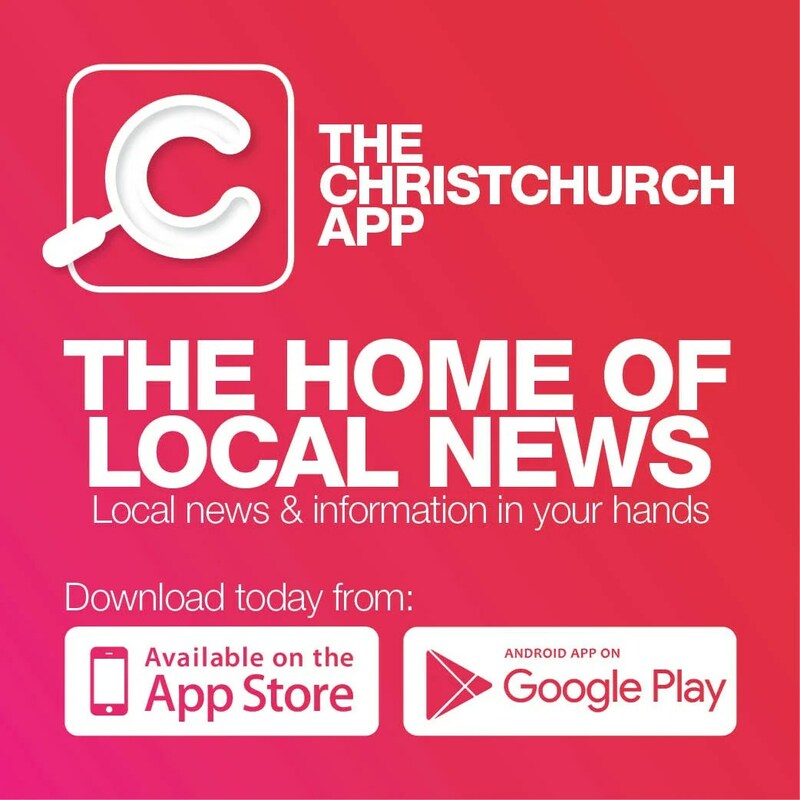 The stunning shoe also comes in white – the Christchurch store’s best-selling shoe. Visit the store on 195 Papanui Rd, or shop online www.eccoshoes.co.nz.